Drone Advice has been following the latest and greatest in professional drone software for a while now, including Cape’s game-changing Cape Aerial Telepresence™ platform. After spending some time in Cape’s online simulator for the platform, we decided to connect with Cape’s Richard Hall to learn more. In this in-depth interview, Richard Hall explains how Cape Aerial Telepresence™ unlocks the full use potential of commercial drones by removing traditional complexities associated with flying them. DroneAdvice: Please introduce Cape Aerial Telepresence™ and let the readers know why it has recently been garnering so much international attention. As the only cloud-based system for drone telepresence and data management, the Cape Aerial Telepresence platform allows for safe and easy remote operations of commercial drones. By enabling secure, real-time aerial visualization, Cape helps companies and government organizations reduce costs, increase operational efficiency, improve safety and drive innovation. Today, across industries, real-time visibility is critical for both quickly finding and fixing problems, and for enabling accurate decisions based on real information. But traditionally, there’s been a major gap between the importance of real-time visibility, and how difficult it is to achieve it – due to budget, resource, time, or physical constraints. Cape removes those constraints, helping companies unlock all of the benefits of commercial drones with none of the traditional hassles. With Cape, organizations can now safely and easily integrate drones into daily workflow operations. Across industries ranging from public safety to energy to telecommunications to utilities, Cape-enabled drones are used for a growing number of use cases, including emergency response support, asset inspection and infrastructure management. Cape’s proven success as one of the longest-tenured companies in the drone software space has built its reputation as one of the most trusted technology partners for commercial drone integration. It’s why we’ve been backed by some of the most notable names in business today, including Telstra Ventures, Mitsui & Co, NEA, and were one of the first investments for Google’s AI Investment Arm, Gradient Ventures. Additionally, we’re leading the way in helping inform regulatory improvements around the world to enable the safe integration of drones. In fact, Cape was one of the first companies in the U.S. to get precedent-setting waivers under both Part 107 and Section 333 regulations. To date, we’ve conducted 100,000 flights without incident. DroneAdvice: The drone ecosystem has proliferated in recent times with all manner of hardware and software providers. This has sometimes resulted in too much choice and confusion for many end-users. Are there particular user-groups that Cape Aerial Telepresence™ is particularly suited to? If so, what elevates Cape above its competitors? Much like smartphones powered the Mobile Enterprise and changed the way companies do business forever, Cape-enabled drones are powering the Aerial Enterprise, helping companies and organizations across nearly every industry – from public safety and energy to telecom, and maritime to agriculture – drive operational efficiencies, enable innovation and build safer communities. Unlike many of today’s commercial drone solutions that focus on 1:1 live streaming, the Cape Aerial Telepresence platform enables full drone telepresence, allowing for the safe remote operation of drones, and ensuring the right experts can get real-time eyes on the situation from anywhere in the world. What’s more, up to 50 remote authorized users can view the HD-quality stream simultaneously and in real time, with ultra-low latency. We’ve also simplified the drone control experience, making them easier and safer to use than ever before. Using the Cape app on any internet connected device, remote operators can conduct the flight with their preferred level of automation to capture the exact video and images needed, all with best in class safeguards like the ability to create default and custom geofences and set minimum and maximum altitudes for each flight. In the U.S. and around the world, governments are making great strides on the regulatory side, and we’re actively working with Australian aviation regulator to enable the benefits of telepresence here in Australia. Currently, Cape customers in Australia are able to receive the same benefits of the ultra-low latency for tasks such as site and asset inspections. Whether in a mining facility, at a telecommunications tower, or at power stations, the ability to see a situation in real time is critical when making decisions. For example, in real-time, experts watching the live feed are able to communicate with the onsite drone pilot via mobile device, radio, or telephone, and direct the pilot based on what they need to see. This gives them an immediate and detailed view of a situation and enables teams to quickly inform decisions in a short amount of time. Additionally, all data captured by the drone is instantly accessible in the Cape Cloud for operators, experts, and team members alike for review, helping increase shared learnings and best practices, and better identify any issues. DroneAdvice: What are some leading-edge examples of how Cape Aerial Telepresence™ has been implemented to date? And what new interesting use-cases await around the corner? Among the many use cases, one area where Cape has been helping to pioneer innovative new applications for drones is within public safety. Today, Cape-enabled drones are being used by police forces and first response teams around the world to support emergency response efforts, giving officers real-time situational visibility to keep both responding teams and communities safe. Traditionally, aerial support during incident response required costly resources like helicopters, making it out of reach of most agencies today. With drones, that same level of aerial support previously afforded only to those with access to helicopters is now well within reach for nearly every police force, and those leveraging them are seeing incredible results. Helicopters are being increasingly supplanted by drones. Photo by Patrick Tomasso. For example, in Ensenada, Mexico, drones equipped with the Cape Aerial Telepresence platform significantly reduced crime and improved safety throughout the city. The Mayor of Ensenada reported that, in only four months, the use of drones helped to reduce the city’s crime rate by more than 10%, with more than 513 arrests directly attributed to drones. In Australia, agencies across the country are interested in Cape’s technology, because of its abilities to streamline processes. Using the real-time drone feeds, multiple agencies are able to simultaneously view the same situations, which enables quick, data-based decision making. Some of the key industries that can truly benefit from Cape technology in Australia include public safety and police operations, such as search and rescue, and ambulance services. These agencies can use Cape Aerial Telepresence for scene management by tethering drones from trucks to get direct and real-time views to better manage scenes. Other industries include post-disaster relief like bush fire prevention and management, and post-fire assessment. Additionally, the surf industry can leverage drone technology for lifesaving operations, where operators at surf clubs can have an instant live video feed to make real-time decisions and better protect surfers in the ocean. In the U.S., Cape was recently selected in partnership with the city of San Diego California and the Chula Vista Police Department (CVPD) as one of 10 participants in the Unmanned Aircraft Systems (UAS) Integration Pilot Program (IPP), a national initiative to help drive innovation and improve federal regulations for the safe expansion of commercial drone integration. As part of the program, Cape is working with CVPD to pioneer the Drone as a First Responder model, an innovative new approach to drone integration for public safety. Today, drones equipped with the Cape Aerial Telepresence platform are dispatched by CVPD to high-priority calls such as crimes in progress, fires, traffic incidents, and reports of dangerous subjects. Cape tech allows for a remotely located teleoperator to request movements of the drone and camera that are supervised by an on-scene pilot in command. Cape Aerial Telepresence in action at CVPD, United States. Assuming that the request meets all safety parameters set by the PIC, the requests are granted in near real-time allowing the teleoperator to gain the exact visibility needed and communicate with the units in the field to give them information and tactical intelligence about what they are responding to without compromising the safety of flight. With the drone typically arriving on scene well before responding ground units, the command center can better identify and dispatch needed resources to the scene. Additionally, responding officers can view the live stream en-route to the scene on their mobile devices, giving them full visibility of the situation to which they are responding. Currently, the CVPD is the only agency using this model and is already seeing an impact in emergency response. DroneAdvice: Tell us a bit about the geo-fencing system embedded into Cape Aerial Telepresence™ and why this feature is important. We’ve removed a lot of the traditional complexities and challenges of drones to make it fast, easy and safe for organizations to integrate the technology into their daily workflows. 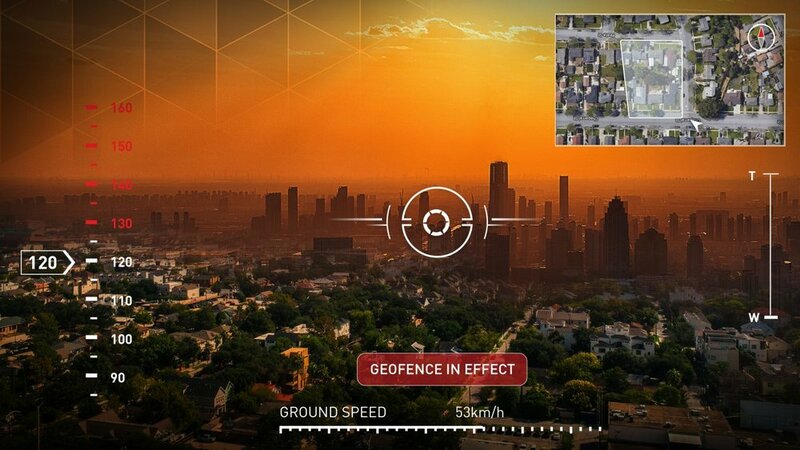 To enable that, we’ve built some really critical safeguards into the platform, including the ability to create default and custom geofences, set minimum and maximum altitudes and create custom no-fly drones within 3D geofenced areas. A further video demonstrating the utility of Cape Aerial Telepresence. Safety features like that make drones equipped with Cape technology virtually impossible to crash into obstacles and ensures the drone stays away from any sensitive areas on the ground like schools or crowds of people. It also allows the technology itself to fade into the background so the user can focus on the task at hand — whether that’s inspecting an asset or responding to an emergency situation. That focus on safety is how we’ve been able to perform more than one hundred thousand flights to date with zero incidents. Additionally, Cape is making strides towards more safe automation by investing in collision avoidance technology and UTM integration with firms like AirMap. DroneAdvice: A key theme in the drone industry is regulation playing catch-up with rapidly evolving drone tech. What regulatory developments would Cape like to see to help with the broader Cape Aerial Telepresence™ platform roll-out. Safety is Cape’s top priority. We conduct quality assurance testing in the U.S., Mexico, and Australia nearly 24 hours a day. Our hours of testing is what makes Cape such a robust and reliable software product. Cape is shaping the future of the drone industry, pioneering the way drones are flown and by whom. As industry leaders and innovators, we’re some of the first to navigate the regulatory landscape, and we’re proud to be able to actively work with the Australian aviation regulator in the area of telepresence operations. While we continue to work with regulators for next level rule makings such as more advanced automation of flight and safe flight over people, currently, Australian customers can utilize and uncover hidden insights via Cape’s ultra-low latency video, Cape Cloud. The platform has unlimited storage, flight replay and reporting, data and fleet management, state of the art geofencing and collision avoidance, and live stream video storage, all of which help streamline operations and inform quick and accurate decision making via real-time aerial visibility. Richard Hall is the Australian Sales Manager at Cape.